The first phase focuses on strategy, where you answer all of the important questions about your company goals and target audience, and create a wish list of ideals. Next, you'll boil the wish list down to the top 20% can't live without items, which your web team will quickly redesign and launch. The key is to not dwell on the design or copy, but to ensure that the new site is live as soon as possible. The final phase, also known as the growth-driven design retainer, is where you can tweak the design and make continuous improvements to your website. Under a web maintenance package, if you don’t consistently reach out to your agency with revisions, your money will go to waste. In comparison, growth-driven design is built on a “sprint cycle” framework to ensure you're making the most of your retainer each month. It starts with a call to discuss and update the wish list based on desired new features and potential areas for improvement. The highest ranking items are then sent to design and development, saving the rest of the ideas for possible implementation at a later date. Next, the agency observes site analytics to determine the impact of the latest updates. This can inform which changes are most relevant during upcoming cycles. Any valuable information that has been learned about visitors during this time period is relayed to your marketing and sales teams. A standard maintenance package might include data reports about your website's performance, but typically only offer one to two hours of actual development time each month. If you want to add new elements or make bigger modifications based on the data, the expense will come out of pocket. What is the benefit of receiving these reports if you don’t use them to make informed decisions about your site? With growth-driven design, you will not only be kept up-to-date about your latest website analytics, your agency will provide you with at least ten hours of development time per month, used to implement changes based on the data. As previously mentioned, conventional maintenance packages are based around the idea that you'll provide an agency with requested updates on a monthly basis. While growth-driven design will cover any necessary site revisions, it’s about more than changing a phone number or updating a pricing chart. 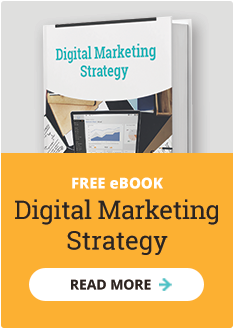 You will have a true partner in a growth-driven design agency to help you create a website strategy that will ultimately serve your business goals. 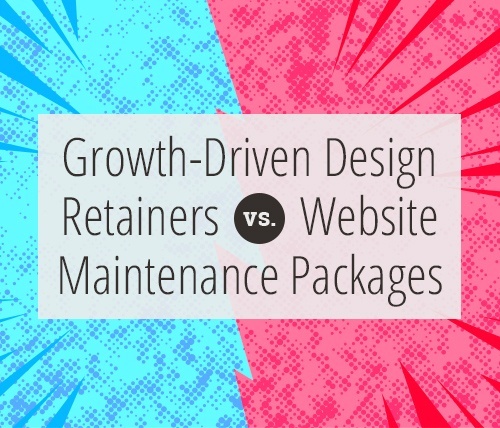 Now that you know the major differences between these two approaches, you'll see that growth-driven design provides you with value that you won't find with a standard maintenance package. By working with an agency that uses this approach, you'll make lasting improvements that will have a positive impact on your business.